Rock and Roll Hall of Fame member Bonnie Raitt will headline KCSN 88.5 FM/Los Angeles’ next benefit concert on Monday, Feb. 22, at the Valley Performing Arts Center at California State University, Northridge. 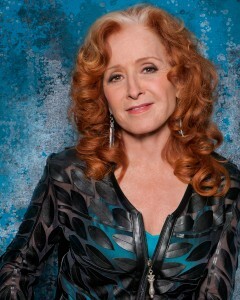 A Los Angeles music icon, Bonnie Raitt is the latest music legend to take the stage in support of KCSN and its annual benefit concert series. Past concerts have featured performances by such artists as Tom Petty & The Heartbreakers, Jackson Browne, Stephen Stills, Lucinda Williams, Ryan Adams, Conor Oberst and Sarah McLachlan. KCSN members have an opportunity to purchase tickets for the show via Ticketmaster with the member’s passcode in a special pre-sale arrangement beginning Thursday, Dec. 3, at 10 a.m. Members of the general public can purchase tickets beginning at 10 a.m. on Friday, Dec. 4, via Ticketmaster or at the Valley Performing Arts Center’s box office. As a service of California State University, Northridge, KCSN offers a 24-hour, commercial-free blend of rock, alternative, soul, blues and Americana, including a wide range of artists such as U2, Petty, Jack White, Arcade Fire, Wilco and Beck. The station’s programming also is available on the station’s HD1 channel and online at KCSN.org. The Valley Performing Arts Center is located at the southern end of the campus at 18111 Nordhoff St. in Northridge.